Do you possess an older vehicle, or perhaps a make/model that isn’t common? Your driveshaft repair technician should be well-versed in all makes and models on the road. After taking a careful look and deciding who your driveshaft repair team is going to be, the last thing you want to find out is that they don’t know how to service your vehicle. At Mike’s Transmissions, we’re equipped to handle driveshaft repair for every type of vehicle, no matter what. Your driveshaft gets in the way of properly using your vehicle. You need a quick solution, something that’s going to get you back on the road in record time. The team you pick for driveshaft repair in San Jose need the perfect balance of quality and attention to detail, coupled with the speed required to get you back behind the wheel. We utilize state-of-the-art scanning and diagnostics to properly identify the issue and get to the root of the problem in a short amount of time. Your mechanics should keep up with the newest technology to ensure you’re receiving a flawless repair or replacement every single time. You’ve all read the horror stories of various mechanic garages online. People are intelligent, and realize when they’re being shafted and given low-quality parts, whether through their own knowledge or another mechanic telling them when they need their next repair. 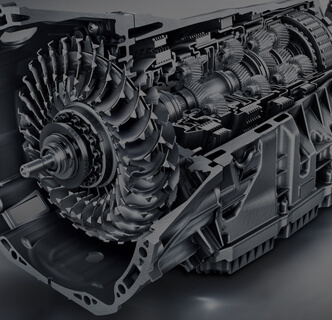 Quality parts are a guarantee at Mike’s, as well as full transparency on the entire process to ensure you won’t be met with a surprise when you come to pick up your vehicle. We’re dedicated to providing quality and honesty with every single project. Are you in need of excellent driveshaft repair in San Jose? We want to get you back out onto the road as quickly as possible. Call or message us today to get more information on how we can repair your driveshaft and surpass your expectations. We also offer other car repair services in the San Jose area.